It can be simple to go months without using your car locks, since you likely have a remote control to unlock and lock your vehicle. Until your battery dies in the remote head, you will probably not use the actual lock on your car. So, how are you supposed to know if it is becoming faulty? When you manually unlock your car door, you should not have trouble turning the key, getting the door unlocked, or jiggle the key to get it to work properly. If you have to do any of these things while unlocking your door, you likely need a lock repair. At 24/7 Emergency Locksmith, we offer car lock repair services that can help get your lock fixed in no time. This is important if you key ever does die and you find out that the lock no longer works as it should. 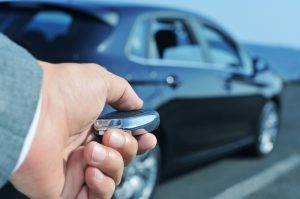 Even if you do have a remote key that allows you to use a button to get into your vehicle, we suggesting using the actual lock from time to time, just to ensure it is working properly. If your car locks are having issues, be sure to call us at 484-891-1922. If you notice any of these problems, you will want to call in the experts right away! Getting your locks repaired right away can keep you from running into future lock problems later on. Test out your locks regularly to ensure that they are still working as they should. You would hate to find out that your locks are not working properly at the same time your remote key battery dies. When you need a lock repair service for your vehicle, be sure to contact 24/7 Emergency Locksmith in Allentown. We will be able to help fix you lock problem before it gets worse!